By combining automatic and precision tools with an integrated learning system, PaintShop Pro helps you produce professional results with power and ease. 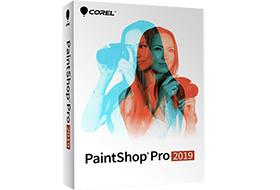 Filled with one-of-a-kind photo tools sure to please even the most discerning photographer, Corel PaintShop Pro 2019 is the ideal choice for people who want extraordinary photos. Remark: 1/12/2018 Removed PSI_SVC_2 / PSI_SVC_2_x64 Services. Activation services.